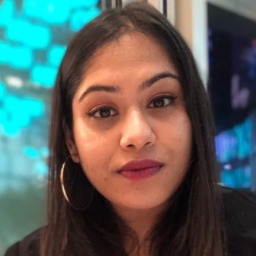 Is it okay to not have the bank balance but still want to dress like a celebrity? I think so. Don't think it's possible? I think it is! And even though Kareena Kapoor Khan is one of India's most celebrated, AND stylish, Bollywood celebrities, she knows it can be done - and showed us how. The Veere Di Wedding actress nailed street-chic when she stepped out for a shoot in the city, yesterday. Naturally, Bebo wore something worth fawning over and about. Remember Kareena's 'Coke' tee? 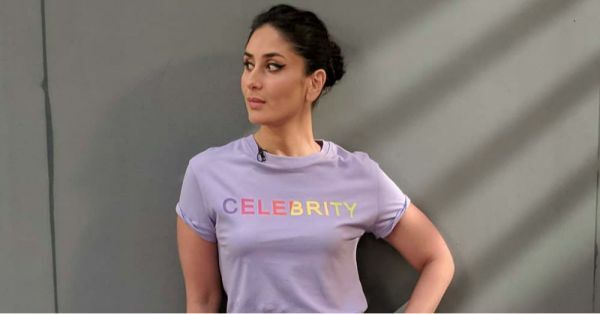 This time too, it was Kareena's t-shirt that caught our eye, thanks to the super trendy yet feminine lilac colour... and the sassy slogan that it sported. The t-shirt read 'celebrity' in a rainbow tie-dye effect, which is one more reason to love this Bershka number. The polka dotted skirt by Mother of Pearl is not just another pencil midi. This supremely chic piece features two different sizes of polka dots, one in the front, and the other in the form of side panels. Kareena paired her shoes with this look sensibly. These simple white Steve Madden pumps match the rest of her outfit perfectly, don't they? While Bebo's gym looks are circulating everywhere, this outfit is what's going to be on my mind. Until I get the look, that is. What perfect timing, I say, because thanks to my resourcefulness, when it comes to spending money on clothes, I have a brilliant dupe for Kareena Kapoor's look. Diet Prada might frown upon it but when famous people wear clothes that a regular real-world fashionista can find dupes of, it is a joyous occurrence. For a change, one doesn't need to find dupes of Kareena's 'celebrity' Bershka t-shirt, with an in-store price of about GBP 7.99 (approx INR 762) - BUT the brand doesn't have a store in or deliver to India. Oh, well. Unlike the tee, the Mother of Pearl skirt is beyond my budget, so I hunted down a simple dupe for it. P.S. What if we told you there's a way you can look like Kareena Kapoor all the time - on a budget?